Author Sean Michaels visited the Ralph Pickard Bell Library last Wednesday to talk about and read from his debut novel, Us Conductors, which won the Scotiabank Giller Prize in 2014. 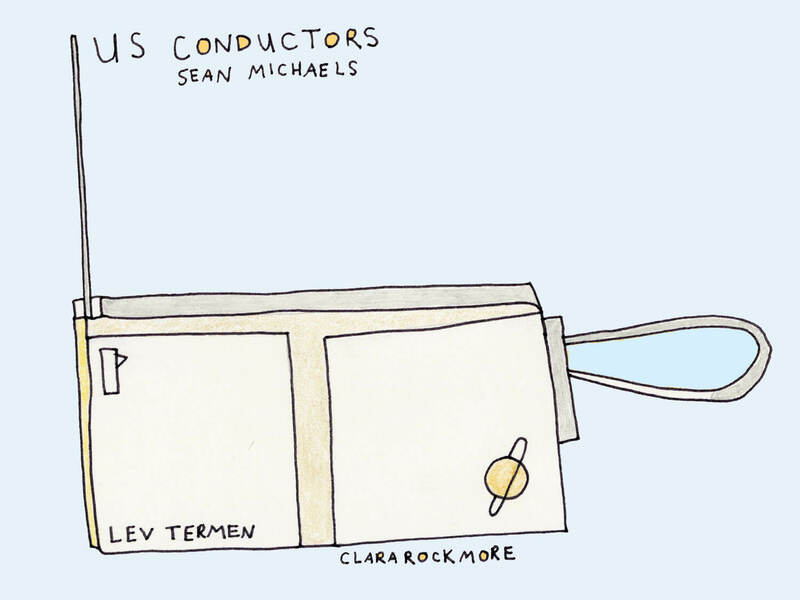 Us Conductors is the story of Lev Sergeyevich Termen, the inventor of the theremin, one of the first electronic instruments; and of Clara Rockmore, his student and the theremin’s greatest player. “It’s a story of their love, and it’s a story of the reach that this instrument had; it’s a story of the highs and lows of Termen’s life,” explained Michaels. “And it is also packed full of lies.” Michaels wrote the book based partially on the true story and partially on his imagining of the story. “Most of it is true but every scene is made up,” he said. The author touched on his early career as a music journalist, when he wrote for a MP3 blog called Said the Gramophone that was started in the early 2000s to share reviews of new music. His work with music meant that this was not Michaels’ first visit to Sackville, as he has covered Sappyfest, Sackville’s annual music festival, for several years. Michaels explained where his inspiration came from for Us Conductors, referencing the one night he heard a stunning theremin performance on the radio and mistook it for a soprano singer. When he realized that is wasn’t a human singing, but an instrument playing, he was immediately curious. This was followed by a slightly less masterful demonstration of the theremin by Michaels, who openly admitted to not being the best or most attentive player. He explained how the unusual instrument works and invited the audience to come up after the talk and try their best to play. Jokingly he played happy birthday for a member of the crowd. Renée Belliveau, who currently works in the Archives, explained that although she had heard of the author before she had yet to read Us Conductors. “He seemed really interesting and the book seemed really interesting, so I thought I would check it out and it was a great talk,” she said. Later in his talk, Michaels read three excerpts from the novel. During one he asked for a moment of audience participation, asking his listeners to make the sound of the theremin, which he described as “dz eeeee ooooo.” To everyone’s amusement, the crowd did so. 2020 will mark the 100th anniversary of the theremin’s invention.